Harbour Cruise with Symphony of Light Show. Visit to Mineral Museum and Bamboo Market. Visit to Windows of the World. Zhuhai Visit Chimelong Ocean Kingdom. Visit to Macau Tower.Any increase in the Visa fees, Airfare/Taxes charged by the airlines on your air ticket (calculated at 1st July 2016 rates). 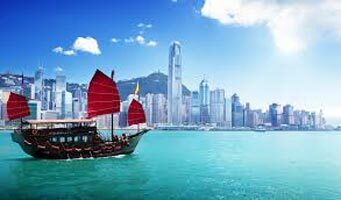 Welcome to Hong Kong - the Pearl of the Orient. After you have obtained your free Visa-on-arrival at the airport, our local representative/drivercumguide will meet you at EXIT B Pole No. 16 and take you to your hotel (Check-in time after 3.00 pm). In the evening we take you for 45 minutes Harbour Cruise and Symphony of Light Show. Overnight at the hotel in Hong Kong. Today, we take a tram ride to visit the top-level Victoria Peak for a breathtaking view of Kowloon and Hong Kong. Get up close and personal with your favorite celebrity wax figures only at Madame Tussauds Wax Museum (entrance included) & Chocolate Shop. Later, we take you for a fun filled trip to Disneyland. 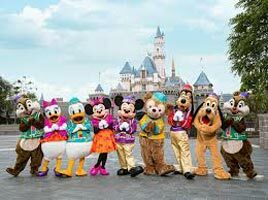 Welcome to the magical world of Hong Kong Disneyland, a whimsical world of imagination where enchanted stories and timeless places come to life right before your eyes. Main Street U.S.A. Adventure land, Fantasyland and Tomorrow land all come together to create a magical adventure everyone will love. In each land, enjoy high quality rides, meet your favorite characters and watch amazing Broadway-style shows. Overnight at the hotel in Hong Kong. Today, we check out and take you to Repulse Bay, famous for its broad beach, clean water and calm tides. Visit the Jewellery factory outlet for great bargains. Next, we proceed to Shenzhen by train / coach / ferry. Overnight at the hotel in Shenzhen. Today, we visit the Mineral museum, where you can see the World famous Terra-cotta warriors, these priceless relics have been loaned from the famous excavation site in Xian. Also visit the Bamboo Market. Next, we proceed to Windows of the World. Windows of the World is a fantastic replica park situated in Shenzhen. Here you can see vivid replicas of the world’s wonders, historical heritages and famous scenic sites from different countries. Relax in your coach as we drive and proceed to Zhuhai Overnight at the hotel in Zhuhai. Today, we checkout of our hotel and proceed to visit the Chimelong Ocean Kingdom. Chimelong Ocean Kingdom features one of the world’s largest aquariums. See the rare whale shark, beluga whales, polar bears, and other adorable animals closely passing by you. Explore fun-filled themed zones, visit exotic animal exhibits. Challenge yourself on exhilarating rides and immerse yourself in spectacular theatre shows. There are also outdoor events which can be enjoyed by one and all. Do not miss out the premium shopping options too. After a fun-filled day at the Chimelong Ocean Kingdom, we proceed to Macau. Overnight at the Venetian® Macao-Resort-Hotel. Today after breakfast, we proceed for a city tour of Macau. Macau is quite an obscure place when you consider its colouful history; present positioning as a Special Administrative ‘Region of China and role as the gateway between the east and the west. We visit the Ruins of St. Pauls,Mount Fortress, Section of Old City Walls and Na Tcha Temple. We also visit the Macau Tower. Overnight at The Venetian® Macao-Resort-Hotel. Any increase in the Visa fees, Airfare/Taxes charged by the airlines on your air ticket (calculated at 1st July 2016 rates).